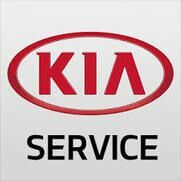 Check out these great Gateway Kia of Denville NJ coupons. Just print one off and bring in today! *Plus tax, only with purchase of 4 tires. Cannot be combined with any other offer. *Valid only at Gateway Kia of Denville. Valid for Kia vehicles only. Void where prohibited by law. Environmental disposal fee may apply. Taxes excluded. Not to be combined with any other offers, coupons, or discounts. May not be used towards tire purchases. Must present coupon in person at dealership at the time of arrival. 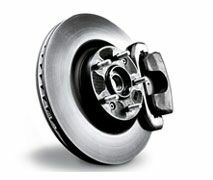 REPLACE BRAKE PADS OR SHOES USING GENUINE KIA PARTS. MACHINE ROTORS OR DRUMS. INSPECT CLEAN & LUBRICATE BRAKE HARDWARE. ROAD TEST VEHICLE. Kia vehicles only. Must present coupon when order is written. Cannot be combined with any other offer. Valid only in our service department at the location above. 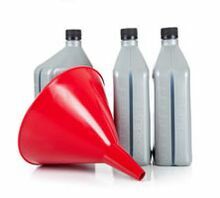 Synthetic oil and some models priced slightly higher. Void, if copied, altered, sold, or where prohibited by law. Environmental disposal fee may apply. Cash value .001¢. LUBE CHASSIS & SET TIRE PRESSURE. INSTALL NEW GENUINE KIA OIL FILTER. REPLACE UP TO 5 QUARTS MOTOR OIL. CHECK & TOP OFF ALL FLUIDS. *Must replace both Cabin & Engine Air Filters at the same time. Cannot be combined with any other offer. *Plus applicable taxes. Valid only at Gateway Kia of Denville NJ. Cannot be used or combined with any other applicable offer, discount card, email offer or coupon. This coupon is non-transferable and cannot be redeem for cash. Void if copied. Coupon can be used on a single VIN or vehicle. Not valid for any previous sale or purchase. Some vehicles may be slightly higher. Hazardous Waste fee is applicable. Please present coupon at time of write-up.